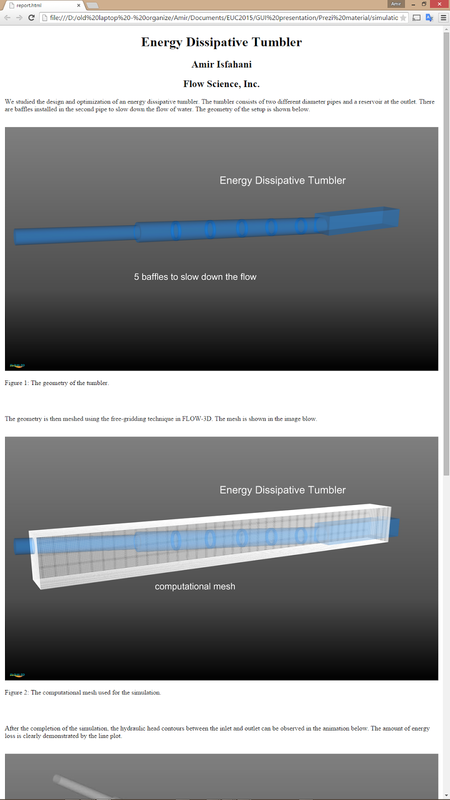 In the upcoming releases of FLOW-3D v11.1, FLOW-3D Cast v4.1, and FLOW-3D/MP v6.1, batch post-processing and report generation have been developed hand-in-hand to save users significant time when it comes to visualizing, analyzing and communicating the results of their simulations. 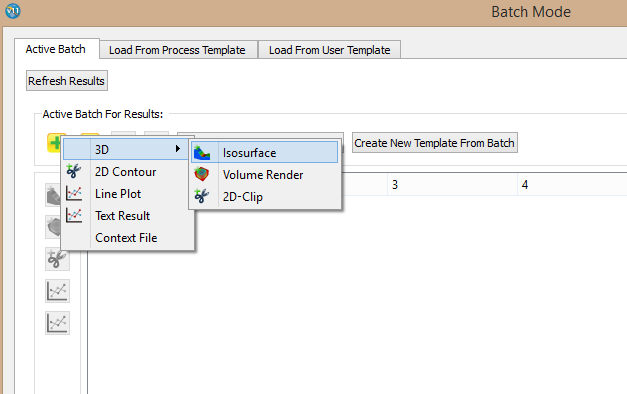 Batch post-processing allows you to define a set of post-processed results that are created in the background while a simulation is running or after it has been completed. So, when you come back to your workstation, your videos, images, and other output will be ready. This is particularly helpful when simulations are huge and post-processing can take a significant amount of time. Report generation can be run after batch post-processing is complete, which combines the results into an HTML file that can be viewed in a browser and easily shared. Batch post-processing requests can be defined even if no results are available yet. Context files from other simulations or a previously run simulation can be used. Also, a user-defined template can be applied to a simulation doesn't have results yet. A Context File contains information about layout, views, orientation, variables loaded, etc. Results can be requested ahead of time to be written according to the context file. Within batch post-processing, animations, scenario files or images can be ordered – any or all. Scenario Files are essentially “interactive animations” that are played in a special viewer that allows the results to be rotated and zoomed in/out providing much more flexibility for analyzing results. The setup of batch post-processing requests is even more flexible when simulation results exist. Certain plots like isosurface, volume render, 2D-clip, line plot, etc. (Figure 1) can be requested ahead of time and generated automatically. Figure 2. Sample results that are requested through Batch Mode. An example of the batch post-processing is shown in Figure 2. Column 1 allows the user to select the type of plot. In 3D options, an iso-surface, volume render and 2D clip are requested for hydraulic head. In 2D options, another 2D clip is requested and so on. Column 3 allows the user to select the type of output, animation, scenario and image, respectively. In column 4, timelines can be chosen – Selected or Restart. In conclusion, setting up a batch process is very flexible. Analysis of many similar simulations (e.g., parametric studies) is much easier with batch post-processing as the repetition of requesting the same post-processing graphical results is eliminated. This can be achieved by simply choosing an already available template. Templates can either be process templates like metal casting and hydraulics or a user-created template. If you choose a process template for metal casting, certain default variables and plots relevant to the metal casting industry will be written. But, if you want to use a customized template that you have created, then choose one from the User Templates tab. Once batch post-processing has completed, the user can assemble the myriad of animations, images and text results into an HTML report by right-clicking on the simulation in the Portfolio and selecting Generate Batch Report. The report will be generated in HTML5 format (sample report in Figure 3) and can be easily sent to your manager, associates, colleagues, and clients. Images and videos will be embedded in the report. You will still have control over the formatting of text, captions, and references. In conclusion, you can now spend less time on post-processing and reporting and instead run more simulations.